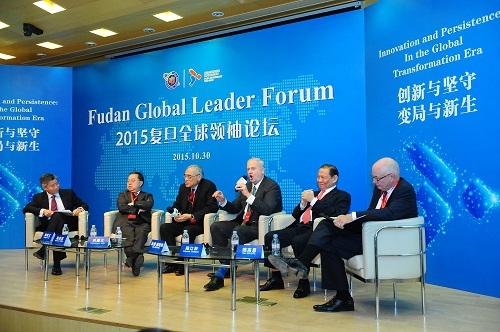 RGE Chairman Sukanto Tanoto attended the 2015 Fudan Global Leader Forum at Fudan University, Shanghai, China on October 30. RGE Chairman Sukanto Tanoto (2nd from right) with fellow panellists at the 3rd Plenary Session for the 1st International Advisory Board of the School of Management. In its second year, the Fudan Global Leader Forum is organised by the School of Management, Fudan University. Presided over by the dean of the School of Management Professor Lu Xiongwen, this year’s forum was themed “Innovation and Persistence, Change and Regeneration”, and attended by numerous business leaders, experts and scholars from around the world. A respected business leader, Mr Tanoto was present to share experiences and thoughts gathered from many decades of entrepreneurship. He spoke at length during the 3rd Plenary Session for the 1st International Advisory Board of the School of Management, Fudan University, held on the same day. The discussion included four other honourable speakers: Mr Chen Qizong, President of Hang Lung Group Limited; Mr Liu Zunyi, former President of CIC International (Hong Kong) Co., Ltd. and former President of Chinese University of Hong Kong; Mr Gary Rieschel, founder and partner-in-charge of Qiming Venture Partners; and Mr Ken Wilcox, Honorary President of Silicon Valley Bank. The panel touched on a variety of topics that include the development of the manufacturing industry, differences in innovation in China and the United States, and cultivating talent. Mr Tanoto said that entrepreneurs should not only have ambition, determination and intellect, but should also keep abreast of global affairs and emerging trends, while retaining the hunger for continuous learning. He also shared insights into his pioneering success in the pulp and paper industry, and his foray into the clean energy industry. On the topic of innovation, Mr Tanoto recognised that innovation not only exists in the technological domains but is equally applicable in business models. He cited innovative approaches to improving and consolidating competitive advantage for a resilient business, which included outsourcing of services and dynamic integration of various resources. 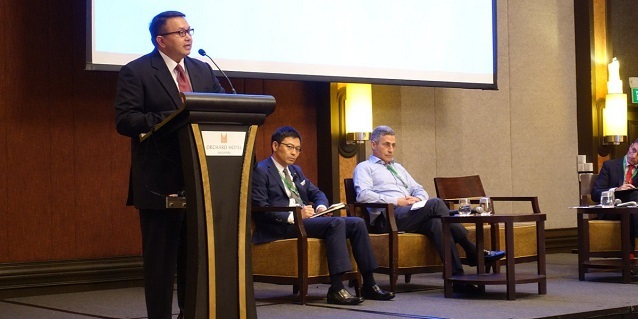 With businesses, operations and philanthropy spanning the globe, the well-traveled Sukanto Tanoto highlighted the importance of communications and overcoming cultural differences between East and West, a recurring theme well-discussed at the Forum. Mr Tanoto continues to be recognised not only as a business visionary who has entrenched in the RGE group of companies the principles of the 3 Cs (doing what is good for community, country and company), but also as a philanthropist with a strong focus on poverty alleviation, education and culture. 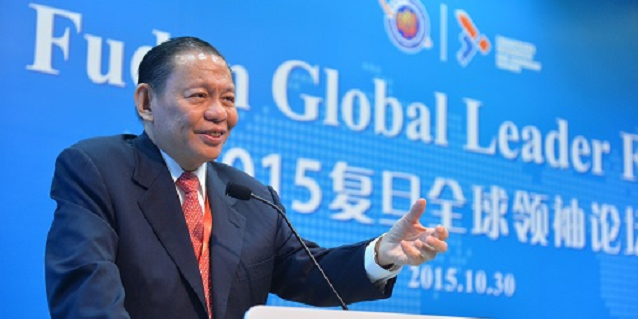 The Forum made special mention of the prestigious “Magnolia Gold Award” given to him by the Shanghai Municipal Government in 2003, honouring him for his multiple contributions to the city – one of many enduring commitments he has made for the longer term benefit and strengthening of ties between business, governments and communities. Follow RGE Chairman Sukanto Tanoto on Twitter for the latest updates.